Dr. Grace Walker, physical and occupational therapist and nutritionist wants you to know, though, sprains and strains have similar signs and symptoms they actually occur on different parts of the body. To know the difference between these injuries you have to know the difference between ligaments and tendons and how they work in your body! Sprains are the stretching or tearing of ligaments which are bands of tissue that connect bones to other bones at a joint. Strains are related to the tearing or stretching of a muscle or tendon and a tendons purpose is to attach muscles to bones. Sprains commonly occur at when walking on an uneven surface and you ankle twists or at the knee while cutting and pivoting during sports. 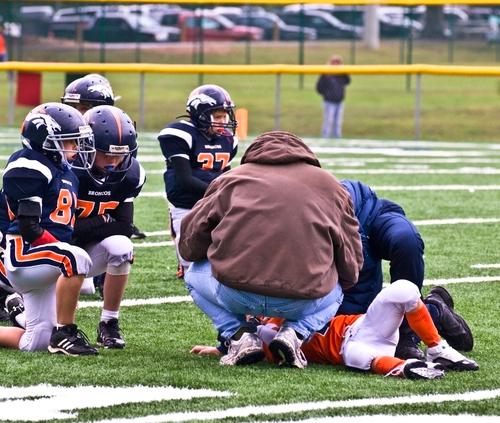 When sprains occur, a pop is commonly heard and felt in the injured area. Strains happen when a muscle is suddenly stretched or overused in prolonged repetitive movements. Strains can be identified if a muscle spasm follows the injury. Due to similar symptoms, sprains and strains have the same initial treatment following an injury. RICE, which stands for, rest, ice, compression and elevation, should be implemented immediately. Giving your body plenty of rest allows for a quick recovery without compromising the healing process. Using ice can help with pain and reduce swelling when done for no more than twenty minutes at a time. Keeping the injury compressed by wrapping or adding pressure to the area can reduce swelling and improve stability. Finally, elevating your injury above the level of your heart is key to reducing and preventing any edema. If symptoms persist, it is important to seek a professional to ensure there are no further complications. At Walker Physical Therapy and Pain Center, we have trained therapist to help design personalized programs for each patient to provide results in a fun and healing environment!